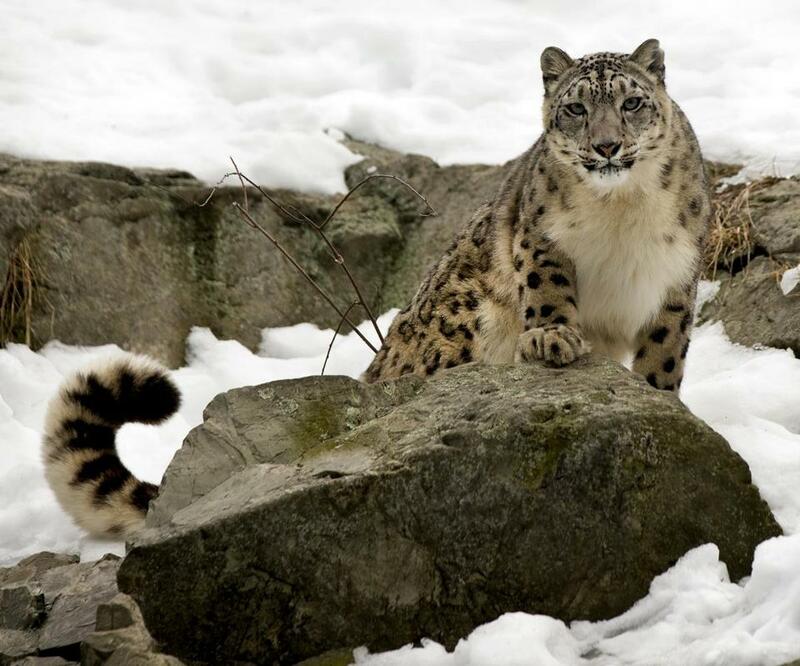 How far can a snow leopard leap? Would you believe 50 feet? WILD WINTER GAMES Could you jump farther than a snow leopard? Hold your breath longer than a river otter? Leave the Winter Olympics sports of skating, skiing, and bobsledding to the pros. Find out how your athletic abilities compare to those in the animal world during the “Animalympics” at the Stone Zoo in Stoneham from 10 a.m. to 2 p.m. daily during school vacation week (Feb. 19-23). Learn fun facts about the zoo’s animals while chatting with zookeepers or stopping by the education station (scheduled talks are at 11 a.m., 1:30 p.m., and 2 p.m.) in the Animal Discovery Center. The zoo is located at 149 Pond St. Tickets at the gate are $16.95 adults; $10.95 seniors (62+); children ages 2-12 $11.95; and under 2, free. Save 15 percent by purchasing online at stonezoo.org. For more information, call 617-541-5466. LOVE JUDGE Got a problem with your significant other that can use some outside counsel? Mike Dorval appears as the love judge Feb. 14 at the Gloucester Stage Company. 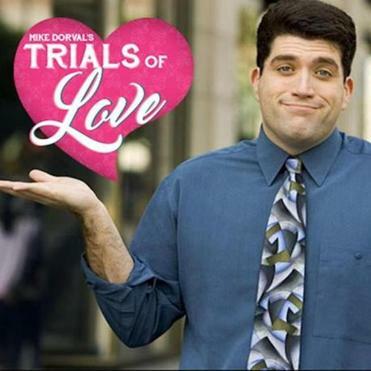 That’s the premise of “Trials of Love,” a problem-solving, audience-interactive dating comedy show created and hosted by Mike Dorval. It will play one night only in Gloucester at 7:30 p.m. on Valentine’s Day night, Wednesday, Feb. 14, at the Gloucester Stage Company, 267 E. Main St. Put your love to the test. During the show, everyday couples will be picked to work out their relationship conflicts in front of the Love Judge (Dorval) and a jury of audience members. You can save your relationship, even win some prizes. Partners given a victorious decision will receive an official proclamation of their triumph (fit to hang on the fridge). “It’s the perfect date night out, ladies’ night, or group outing,” said director Jeff Zinn about the show. Tickets are $25. Doors open at 6:30 p.m. Call 978-281-4433 or visit gloucesterstage.com . DATE NIGHT Are you looking for love and wish Cupid’s arrow would point in your direction, but hate dating? Learn how to achieve lasting love when life coach and author Jim McCoy appears at 7 p.m. on Thursday, Feb. 15, at the Peabody Institute Library of Danvers, 15 Sylvan St.
McCoy, author of “The Last Place You Look: A Contrarian’s Guide to Dating and Finding Love,” will discuss how you can find a long-term commitment using dozens of real-life examples gathered for his book. The event is free and open to the public. Register at danverslibrary.org or by calling 978-774-0554. 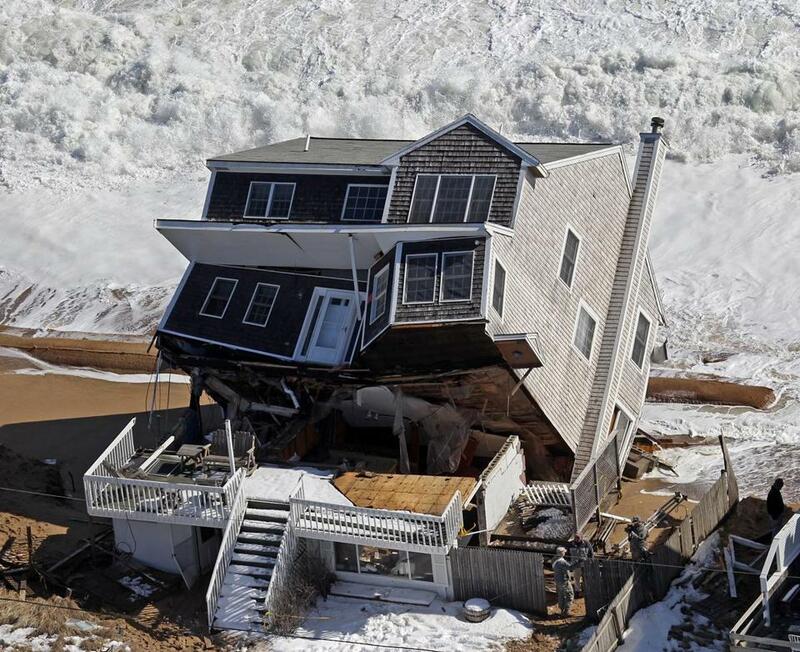 A house appears ready to topple into the sea on Plum Island in March 2013. PERIL ON PLUM ISLAND During the winter of 2012-2013, nearly one-third of homes on the southern dune of Plum Island in Newbury were swept away or substantially damaged. In all of New England, the vulnerable barrier island endured the most concentrated damage during a devastating March storm. The talk, which will feature stunning drone footage, will take place at 7 p.m. on Tuesday, Feb. 27, at the Reading Public Library, 64 Middlesex Ave. The author of many books about the effects of sea level rise in places such as New Orleans, Florida, and Cape Cod, Sargent will discuss the ongoing debate of homeowners’ rights and environmental policy. The event is free and open to the public. Call 781-944-0840 or visit readingpl.org. SWEET HARMONIES Jump aboard the acoustic folk train when “The Sweet Remains” roll into Rockport on Saturday, Feb. 17, at the Shalin Liu Performance Center, 37 Main St. The melodic harmony of singer-songwriters Rich Price, Greg Naughton, and Brian Chartrand will not disappoint fans of those who lived in Laurel Canyon, the Los Angeles music mecca of the ’60s and ’70s. James Taylor, Joni Mitchell, Crosby Stills & Nash, and Carole King were just a few. Tickets are $20 to $26. Call 978-546-7391 or visit rockportmusic.org .